Actovegin hasn’t had a long history, at least not in commercial use and not in sports. It has been relatively new to professional leagues of sports. First major media attention started to appear in 2009. When news started reporting about super doctor who also was treating golf pro Tiger Woods for possibly threating athletes with FDA not approved substances. News sources provided information that Anthony Galea was arrested in year 2009 in Toronto. This information is still relevant in year 2018 and years to come. 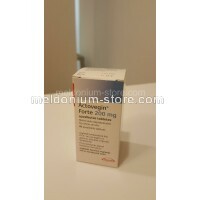 Actovegin which in essence is ultra filtered calf blood manufactured by Takeda (Nycomed) in Austria has very real uses. Galea reported that he treated THE Tiger Woods with Plasma therapy which is relatively new medical method. And the reason was his knee injury and he did not say that he denied that he used Actovegin. Actovegin is calf blood which has been filtered over and over again till its pure enough for medical use. And it has been manufactured since 1996 by Nycomed in Austria in European Union . It history is a bit more older than this, its been studied since early 1980s. Information in Takedas website states that the main ingredient is calf blood which is taken from calves not older than 8 months. What are the possible side effects of Actovegin? There haven’t been observations of side effects while using this medicine. Off course allergic reactions always is a possibility. There has been reports that Actovegin has positive impact on oxygen metabolism by enahcing nutrient transportation in cells. Which basically means that it is stimulating glucose transportation and improving glucose oxidation. This is the stuff that athletes are after. 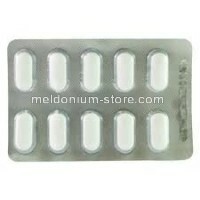 Mostly Actovegin is used by injecting it in soar muscles after workout allowing to exercise harder on day to day basis. There are some reports that it could actually improve performance over the long run too but these reports suggest large doses. To conclude there are no solid scientific proof at least not yet. 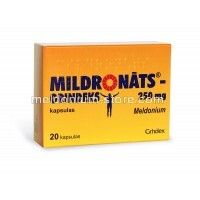 It was banned in year 2000 after Lance Armstrong’ s team was caught with vast quatities with this stuff on French border. But after further research it was unbanned again a year after. Now in new WADA list for year 2018 , it isn’t even in list of substances which are observed as potential doping.